Your upcoming keyboard purchase is set to go off without a hitch. While it can certainly be a bit taxing to figure out which of Prestige's many high-quality digital pianos is the best model for you, rest assured in the fact that whatever choice you make, using Prestige as your premier supplier of Yamaha keyboards in Melbourne is a sure way to get access to top-of-the-line digital pianos. For more than a century, Yamaha has been manufacturing pianos and shipping them across the globe. Since Torakusu Yamaha built his reed organ at the end of the 19th century, Yamaha has manufactured and distributed superior musical instruments. This systematized excellence is part of what can make your Yamaha keyboard selection process so challenging. The good news is there is a way for you to define which of the many useful keyboard features are more important to you and use that as the criteria for buying Yamaha keyboards in Melbourne. 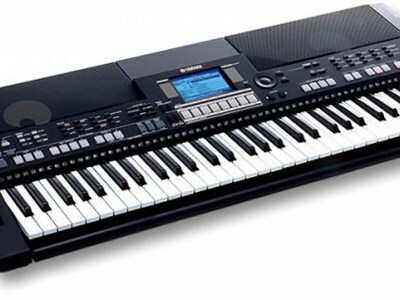 If you are shopping for a Yamaha keyboard in order to practice piano techniques at home, your needs will likely differ from the needs of someone who is shopping for a keyboard for professional use. Professional use can include applications in home-based or commercial studios as well as use in live performances. A great keyboard to consider if you are in the market for something for home practice is the Piaggero NP11. The NP11 is a slim-built, 61-key piano-styled digital keyboard that is perfect for in-home use. With this unit, you get the touch and feel of an acoustic piano with the flexibility and portability of a digital unit. For a wider range of production uses, consider a keyboard with a menu of options that may be used in studio applications. Features that are suitable for studio or live use include sequencing and recording capabilities, stored patterns, multiple voices and accompaniments. The E Series PSRE 433 offers a six-track music sequencer, 700+ voices and a Pattern function that enables keyboard users to compose and record music with one-touch capabilities. More than just feeling like a piano, the PSRE 433 allows you to couple your piano playing with music production efforts to create fully-orchestrated musical pieces. You will find some Yamaha keyboards in Melbourne specifically designed to meet the musical needs of composers or players of Indian or Arabic musical pieces. The PSRA300 Arabic and Oriental includes authentic-sounding voicing for Far East instrumentation and drum kits. That model also offers 135 accompaniment styles, 83 of which are inspired by Arabic and Oriental music. In like manner, the PSRI455 Indian provides functionality and voicing that is specific to Indian music, including the Tabla and Tanpura styles with 16 preset patterns and 5 variations. When it comes to shopping for Yamaha keyboards in Melbourne, you have but to assess your own needs and desires in order to make the best choice for your keyboard purchase. Read more on buying an electric piano in Melbourne. Get to know about upright pianos in Melbourne as well.